This was my first time running the Chase Corporate Challenge. First, I will start with the fact that this is a 3.5 mile race. This is very confusing for me. I have never heard of this distance being run, but it is apparently what they have been doing since the race’s beginning. Also, this fact is not the easiest to remember while running a race. The week leading up to this race was very exciting for me. I finally felt like I was starting to get back into shape. I was definitely looking forward to the race after managing a [email protected]:40 workout. Then the 14mile long run with Mike on Saturday did seem much harder than usually, but by the time Tuesday came around I was feeling pretty good. Lately I haven’t been too thrilled with my races or workouts. I don’t really know how to explain it, but this race I felt ready for. I felt that this would indicate the start of me going after my 5k PR. The weather in the afternoon was very nice. There was a little bit of wind and the sun was out. Shortly after arriving at the race Mike handed me one of the University of Rochester cross country jerseys that he managed to retrieve. While I do think the RKR jersey has the best logo I have seen, Mike and I decided that it would probably be better to wear UR jerseys because we were on the UR team after all. Then we headed down to the tent area, which I will refer to as “the mud pit” due to the week of rain leaving the ground very wet, and we meet Ryan. Ryan would not be running the race today due to an injury that he is coming off of, but it sounds like his training is about to pick up again which is good news. Navigating the mud pit without getting the socks wet proved to be impossible. Mike’s girlfriend Karyn decided to switch to sandals and eventually barefoot turned out to be the best option. Luckily I brought extra socks, and lucky for Mike that for some reason while packing I decided to bring two extra pairs. When we got to the start I was definitely surprised by the number of people, the official number being 8,962 people. I rarely run in races this large, so it was very interesting to see. Before the start Mike spotted Matt. Matt was just starting to run again after taking an easy week following his trail marathon (see “Two race reports for the price of one!” for Matt’s story). He told us that he would be taking it relatively easy. Mike and I wished him luck and found a spot at the front. We were then spotted by Jeff Bigham (I think the jerseys gave us away), one of the other UR team members. He said that he was aiming for 5:20-5:30 pace which was perfect for me, that gave me someone to look for. Once the gun went off a member of the Corning team took off. He took a commanding lead right out of the gate. Most guys that I see do this crash after the first mile. Surprisingly, this guy did do pretty well, he didn’t win, but he still ran a very good time. Other than this one guy I would say the start went well. Mike crossed the first mile in 5:10 and I followed a few places behind at 5:20. This seemed like a perfect start to the race. After the first mile, the field really started to spread out. I managed to pass a small group then I started to settle into my pace. I should have tried going after the next guy, but I was just in one of those pockets where there is no one pushing me from behind and the guy up ahead seemed too far away. Then I heard someone say something like “good job Chanse” from behind. I was disappointed that someone had caught me and I wasn’t able to tell who it was. Then to my surprise, Matt pulls up beside me. I asked him what the hell he was doing here because he was supposed to be running “slow” (in fewer words of course). He was apparently feeling pretty good and we crossed the two mile mark at 11 minutes. 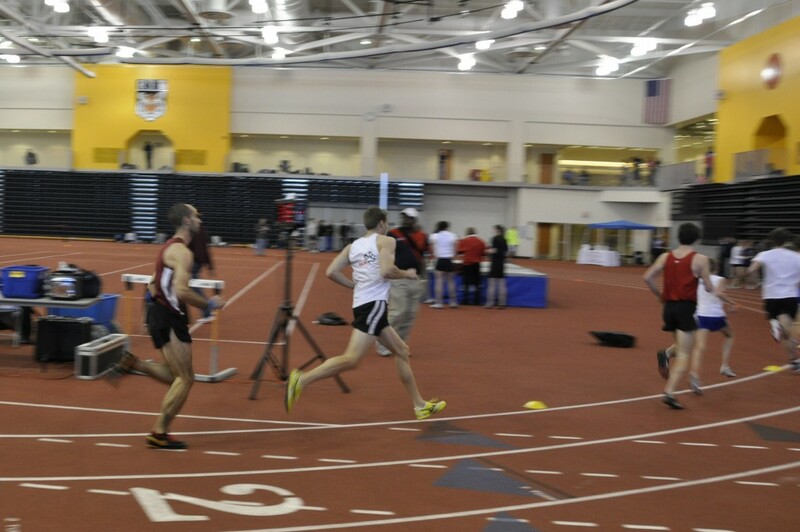 A bad second split, but I could tell that Matt and I were picking up the pace. Matt and I managed to catch a couple of people who I wasn’t even considering catching after the first 1.5 miles. Around the 3 mile mark I started to lose Matt. Now this is where the 3.5 miles becomes important. 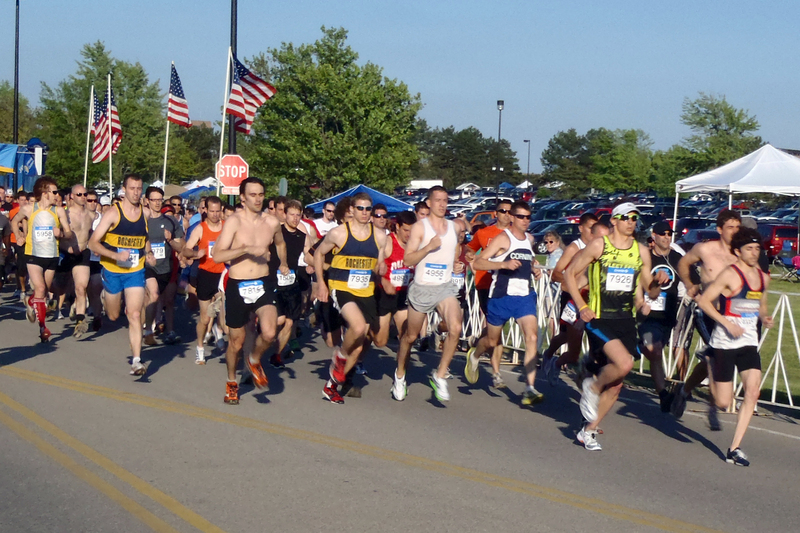 I realized that a 3.5 mile race is run the same as a 5k race, but that small difference is very important. I reached the first corner after the 3 mile mark and I started to really pick up the pace. 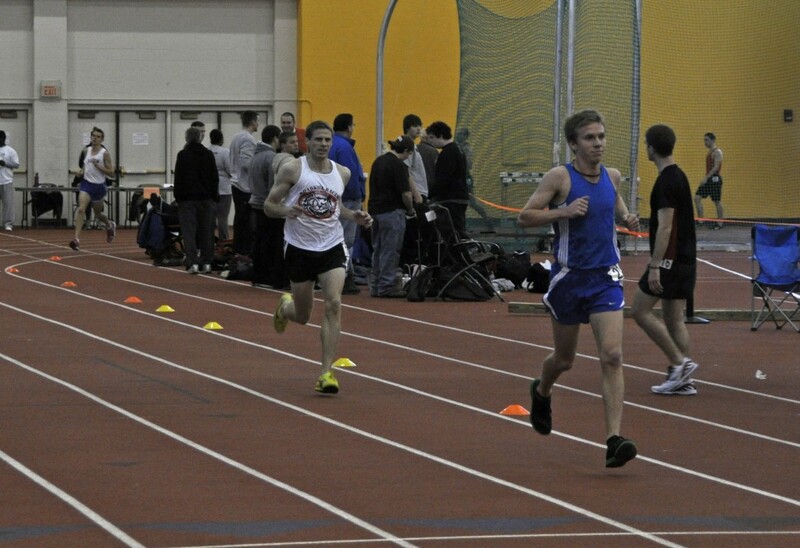 I was ready to sprint coming off of the corner. This is because in a 5k the finish would be right around that corner. To my disappointment, there was no finish line after the corner. Although demoralized, I only let up a little bit, but Matt still catches me. While I was happy that he was up there with me, I was not looking forward to a kick. After entering the final stretch I managed to pick it up a notch and crossed the line just before Matt. I was very happy that Matt was feeling good today because he definitely prevented me from settling into an easier pace. Overall, I would say it was a good day for RKR. I finished in 19:26 and Matt was at 19:28. Mike did seem a little disappointed and felt that he should have gone after the guy in front of him. He still ran a very good time of 19:02. The race went very well for the University of Rochester. 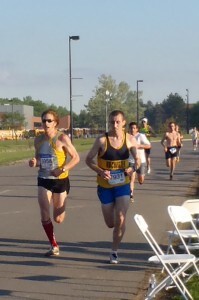 Jeff Bigham crossed at 19:34 and Mike Hoffman (we didn’t know he was on the UR team until the finish) ran a 19:38. I won’t list off all of UR times because we did have 318 people on our team. Mike and I were part of the mixed team and we took first in our category. 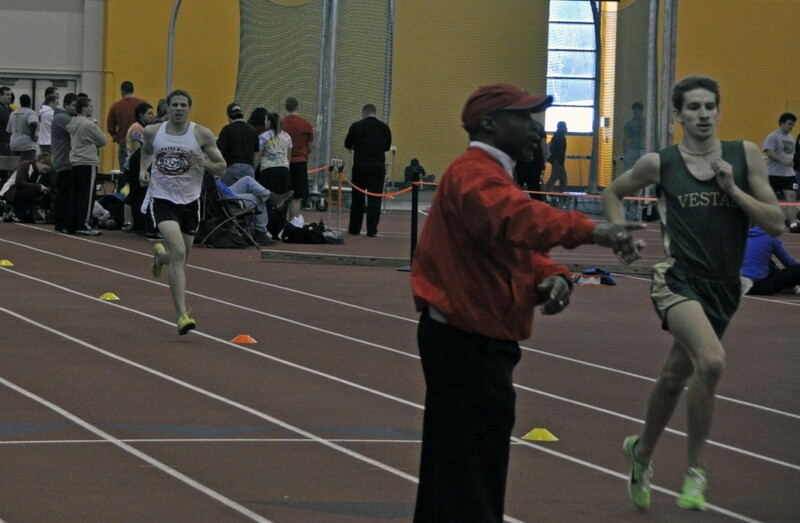 Unfortunately, a couple of different forces have compelled me to cut my indoor season short. 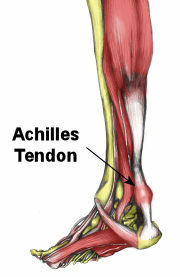 Shortly after the 5K on December 30, my Achilles tendon flared up, which is an injury that I’ve never experienced before. It really started to hurt after a tough outdoor track workout at UR with Josh, and then I left for a job conference in Denver, CO the next day. The conference was very hectic, and I spent a lot of time walking between hotels to attend interviews. The Achilles problem made this quite painful during the first two days! These interviews were the first step in my job search for positions for newly minted Economics Ph.Ds, and they will hopefully lead to a number of (more comprehensive) fly-out interviews. Although my Achilles is starting to feel quite a bit better, my upcoming schedule remains a question mark, so I’ve decided to back off the training until my employment matters are settled (this could be until anytime between late January and late February). In the meantime, I’m going to try to enjoy the Winter with easy mileage and maybe a few long runs when I can fit them in. My long-term plan following the break will include a one-to-two-month long mileage buildup during which I’ll ease back into some good workouts and races. I still need to think about which Spring races on which to focus. 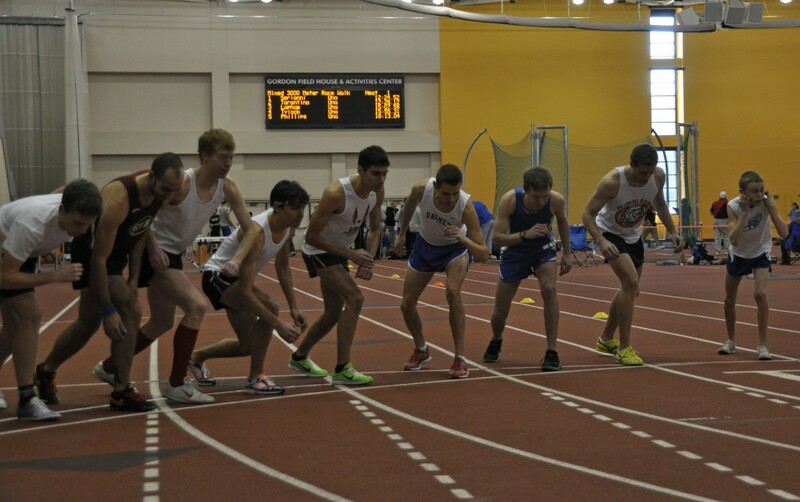 Today I competed in the Holiday Classic indoor track meet at RIT, running the 5000 meters. As I am writing this entry, I completed the race just over 3 hours ago, so hopefully I’ll be able to report many of the most interesting details. I was really happy to have Karyn and Josh come to the meet as spectators to cheer me on, take some great photos, and call out my 400 meter splits. Although my volume hasn’t been quite where I’d like it over the past couple of months, Josh and I have thrown down some great workouts recently at the UR indoor track, and our huge 3000m PRs two weeks ago confirmed that we are running very well right now. I had a lot of confidence that I could demolish my 5K PR from last February (16:28, indoors at Cornell), but I wanted to see how far I could take it. For today, I set a lofty goal of breaking 16 minutes. 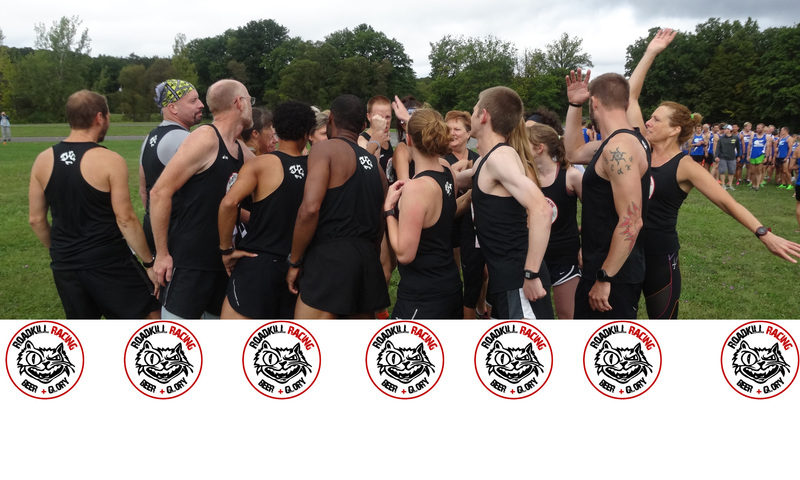 The race start was well organized, although they did not line us up by seed time, as you can see in the picture above (granted, the 80 lb. kid to my left ran 5:00 to come through the first mile ahead of me by 6 seconds–I went on to beat him by a good margin, a huge relief of my ego). I got a bit boxed in at the start, and the first 200 meters were slower than I wanted. I reminded myself that with 4800 meters to go, this was no big deal. I made a move to the outside and ran the next lap in Lane Two to come through the first quarter in 76 seconds (my goal was to keep the pace even at 76’s for the duration). After a half mile, the lead pack had pulled away and I was relegated to join a few chasers who where drawn out 20 to 30 meters behind the leaders. I hit 75, 75, and 77 low to come through the first mile right on pace (5:06). I felt fairly good at this point, as I strove to keep an even pace at 76 seconds per quarter mile. With the leaders pulling away and no one from their pack coming back yet, I was caught in competitive limbo. Each quarter mile, I marginally increased the effort level but Josh’s booming proclamations of “SEVENTY SEVEN MIKE!! !” confirmed that I was only doing enough to not slow down, running four consecutive 77s. Mile number two ticked away in 5:13. Those damn tenths of a second make a difference! Despite being a bit off pace, the 16 minute mark was still within reach. Coming into the last mile, I heard Josh encouraging me to work hard to catch a few runners who were falling back to me. Around the 12 minute mark, he also yelled “Only four minutes left!” — an eternity at the end of a 5K. I worked hard to catch and pass a few competitors, but I just could not sustain my goal pace, splitting the next three quarters in 79, 77, and 79. At this point, the pain had really set in. As I approached the finish line clock with 800 meters to go, fatigue had destroyed my capacity for simple mental arithmetic. 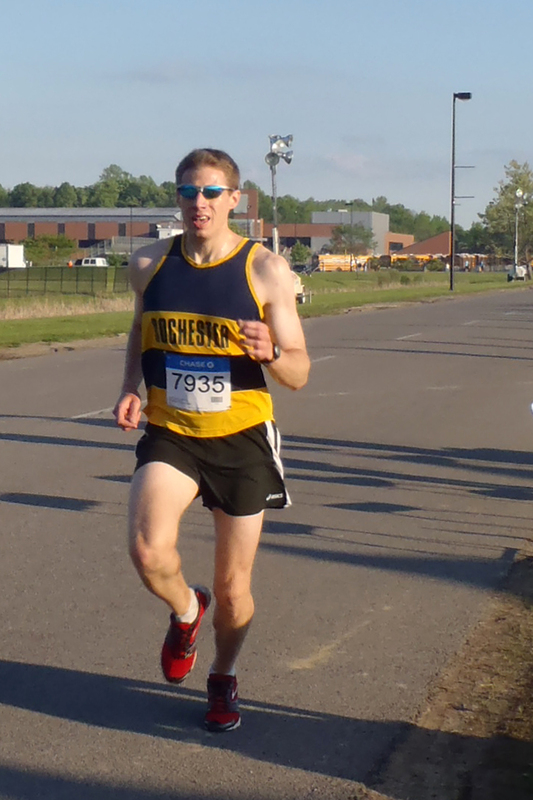 Fortunately, Josh shouted something like “YOU GOTTA RUN 2:30 MIKE!” I tried in vain to convince myself that our nasty 6x800m workout averaging 2:28 had prepared me for this, but running that fast was almost unfathomable at this point. Coming into the last 400 meters, I caught and passed a guy in dark green who then out-kicked me in the last 150 (see picture below). I gave it everything I had, but my legs just couldn’t find the turnover to match his pace down the stretch. I finished in 16:07, a PR by over 20 seconds. Although it would have been incredibly satisfying to break 16, I feel like I left everything on the track today, especially given how the race shook out competitively. 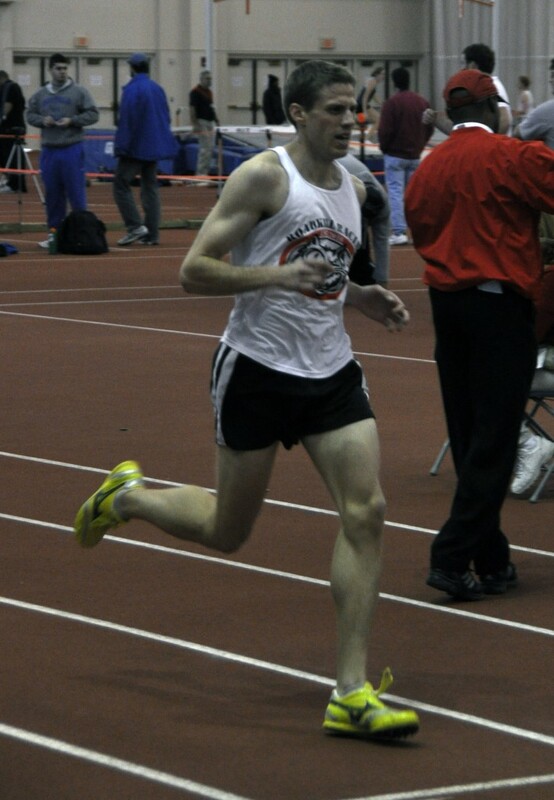 I hope to be able to convince Josh to run the 5000m at an indoor meet in February. I believe that with a little more training, we’ll be able to work together to reach that mark. My life will be pretty hectic over the next couple of months with job interviews and (hopefully) fly-outs, but some hard winter training should be possible, not to mention helpful for my sanity. I’ll post a link to the official results when they are available. Mike and I are going to be meeting at the UR track at 2:45 p.m. on Thursday September 30th. The plan is to do 4×800 4×400 4×200. If anyone wants to plan to do a long run on Sunday just post ideas as a comment. The next race is just outside of Buffalo on October 10th at 11:00 am. They haven’t announced the race distance yet, last year it was a 6k but it might be a 5k this year. If you are going to the race I need to know by next Thursday. Either comment here or just shoot me an email. I’ve ordered some nicer singlets if anyone wants them let me know. Same logos but professionally printed.